Loving a person isn't a magical, sparkly passion. It's hard work. It's putting the other person before yourself. It's companionship and being able to trust and depend on each other. This book is so much fun. 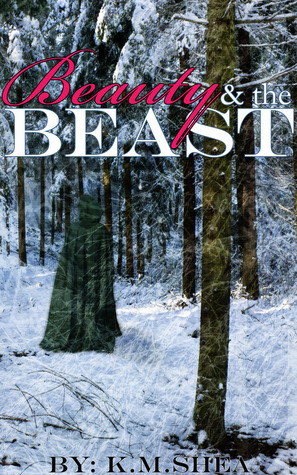 I love Beauty and the Beast retellings, even for as problematic as they can be. (Stockholm Syndrome, much?) But this book is one of my favorites. Everything about it is just so perfect. "I will master this method of transportation! I am the captain of crutches - no, the commander!" Elle is a unique 'Beauty.' She's not described as particularly pretty, and I got to admit, I love the change over the 'gorgeous Beauty' that usually crops up in these stories. Of course, beauty is in the eye of the beholder. ;) Also, she's quite quirky. She's a lot more gregarious and much less bookish than usual for these characters. But, beyond that, she's a wonderful girl. She's brave and compassionate and she's got a great sense of humor. "I thought all maidens were supposed to have an almost magical way with animals." "Severin, I've told you before, if people think you're better than me, so be it. You are my brother. I will not stand for you giving yourself a shadow of a life because you won't forgive yourself for being illegitimate." I love the fact that Severin and his half-brother - the crown prince - actually get along. Sure, there's some disagreements, but I half expected them to never talk and half expected them to hate each other. So it's wonderful to see two half-brothers that are so different have such a solid relationship. Emele and Burke appeared to be congratulating each other. They didn't even try hiding their smug smiles, and ignored Severin and Elle. And it even brings up a pretty good point from the story and various retellings that doesn't make much sense but that I honestly never even noticed. "But I would not think it would be very easy to fall in love when one is in self-exile in an abandoned chateau." Physical desire is a lie. It is not a bad thing, but it blinds a person and makes them unable to see truth. Falling in love is a matter of the heart, not of the exterior.